I will start by saying that I am not a fan of on-camera mics, even things like cold-shoe mount shotgun mics. There are two problems with using shotgun mics on the camera: 1) The camera is almost never close enough to the talent for a short shotgun mic to get a good dialogue recording without picking up lots of ambience. If that's the sound you want, then this is fine, but usually we're looking to eliminate most of the ambient sound and noise. 2) the mic is pointed not only at the talent, but at all the other sound and noise behind the talent or reflecting off the wall behind the talent. That's not quite as big a deal, but still a problem if you're trying to get just the dialogue. However, cold-shoe mount mics can be used closer to your talent. And the newly redesigned (2015) RODE VideoMic Pro with Rycote Lyre shockmount is a fine candidate for this. In this episode I demonstrate the difference between using it on camera and using it boomed within 40 - 60cm of your talent. RODE VC1 (10 foot extension cable). This is the least expensive option and simply allows you to run the cable from just over your talent to your camera. Works great if you're still within about 6 feet of your talent. Runs for around $10 USD. Zoom H1 or Tascam DR-05 Audio Field Recorders. 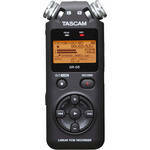 I have the H1 but if I were buying today, I'd go for the Tascam because of its slightly better build quality. These allow you to connect the mic directly to the audio recorder. These are so light weight that you can just put them up on a stationary boom in studio, or combine it with the VC1 extension cable. The advantage with this approach is that these recorders will almost certainly record higher quality sound than 99% of cameras. On the downside, if you really want to look at it that way, you will have to sync the sound to the video when you edit in Premiere, Final Cut, or which ever editing app you use. It is super simple and worth the 10 seconds of extra work from my point of view. Then, of course, there's the issue of how to boom the mic. This is a little more complicated but here's a reasonably affordable way to boom the VideoMic Pro if your talent will be sitting in one place. Just another option to consider for capturing quality sound for your film and video projects. Newer PostNikon D750: I Love It! 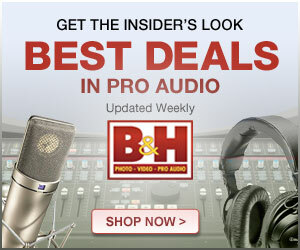 Older PostWhat's the Difference Between a $200 Field Recorder and $900 Audio Interface?